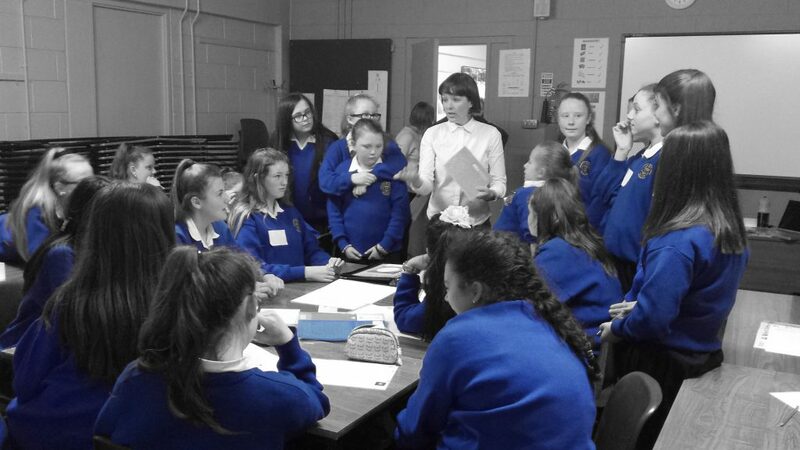 Working with Junior Achievement Ireland, we've produced a workshop programme called The Power of Design. The workshop is based around the Shape film and Make Shape Change website and invited young people to think about how the world is made around them and where design fits in. The Power of Design programme was piloted between February and May 2015 and proved to be such a success that Junior Achievement want to roll it out nationally. The programme fills a significant gap in Junior Achievement’s work with schools to date and introduces design as a critical component in Entrepreneurship education. We think that’s a great idea and will work towards that goal. A massive thank you to our 17 volunteer designers, 269 enthused students and ten host schools who participated in the pilot programme. 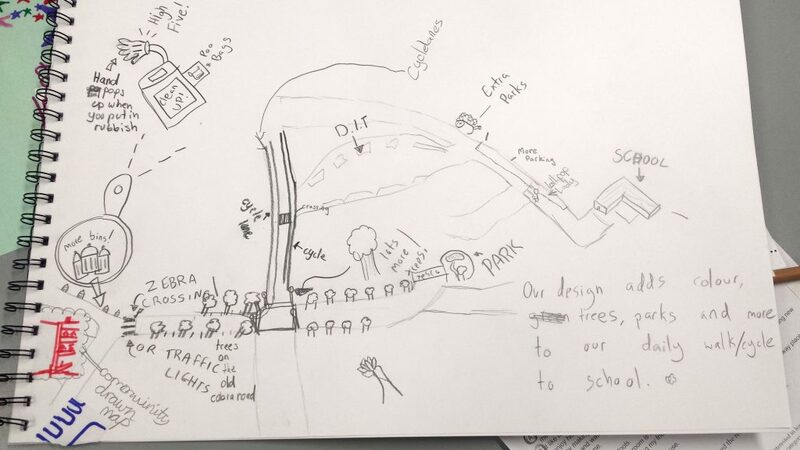 Children learnt how to use design as a tool for positive change in their own lives and in their own locality. The programme also explored careers in design, with volunteers taking the opportunity to talk to young people about what they do and why it’s important. The first pilot Power of Design workshop was held on 24th February 2015. 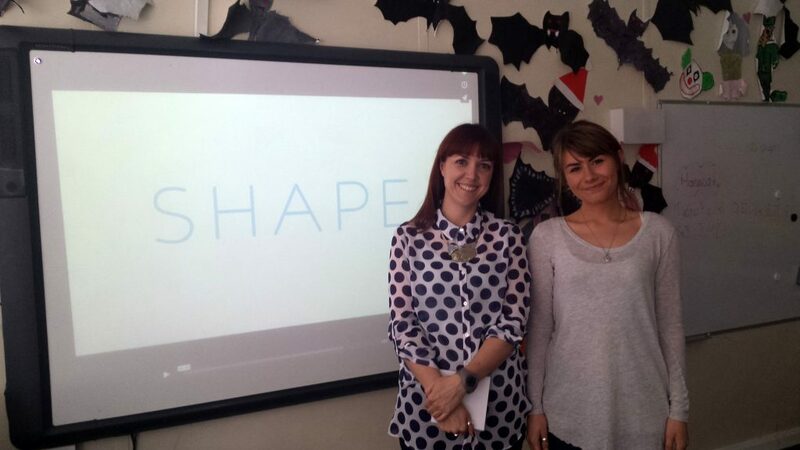 Designers Susie Lynam and Sara Santarelli facilitated 6th class at St. Audeons National School Cook Street. Two more pilot workshops took place on 25th February and 14th April with designers Noelle Cooper and Siobhán Murphy hosting 1st years in Mount Carmel Secondary School Kings Inn Street and St. Paul’s CBS Secondary School. 8th May with Designer Audrey Kieran hosting 1st Year students at Warrenmount Presentation, Convent Secondary School, Clarence Mangan Road. 12th May designers Carol Boland and Jess Lockhart facilitated 6th class students at Rutland St. National School, Lower Gloucester Place. 18th and 26th May designers Emma Conway, Darragh Lynch and Maryrose Simpson presented 6th class and 1st year students at St. Paul’s C.B.S. Primary and Secondary School, North Brunswick Street. 22nd May designer Aoife Farrell hosted 6th class students at St. Mary’s Primary School, St. Mary’s Place Dorset St.
26th May designers Orla Reynolds and Steven McNamara presented 6th class students at St. Patrick’s National School, Chapelizod. 27th May designers Vanessa Fay, Sara O’Dea, Hannah Fleetwood and Danielle Townsend hosting 6th class students at Cholaiste Mhuire, 4 Parnell Square and Dublin 7 Educate Together National School, lower Grangegorman. Entrepreneurship education is defined broadly covering all educational activities ‘that seek to prepare people to be responsible, enterprising individuals who have the skills, knowledge and attitudes needed to prepare them to achieve the goals they set for themselves to live a fulfilled life’. A recent European Commission report* concluded that students participating in entrepreneurship education are more likely to start their own business and their companies tend to be more innovative and more successful than those led by persons without entrepreneurship education backgrounds. Entrepreneurship education alumni are at lower risk of being unemployed, and are more often in steady employment. Compared to their peers, they have better jobs and earn more. * Entrepreneurship Education: A road to success. (2015) A compilation of evidence on the impact of entrepreneurship education strategies and measures Prepared by ICF Consulting Services Ltd. for EUROPEAN COMMISSION, D-G for Internal Market, Industry, Entrepreneurship and SMEs Luxembourg: Publications Office of the European Union, 2015.